Harvest is starting at Castle Fruit Farm. The Team arrives ! The year is flying by! I am going to introduce you to our team. The weather, the pollinators, the condition of the trees are all important but above all it is our team that brings the orchards literally to fruition with great quality fruits which keeps us an economic thriving fruit farm. 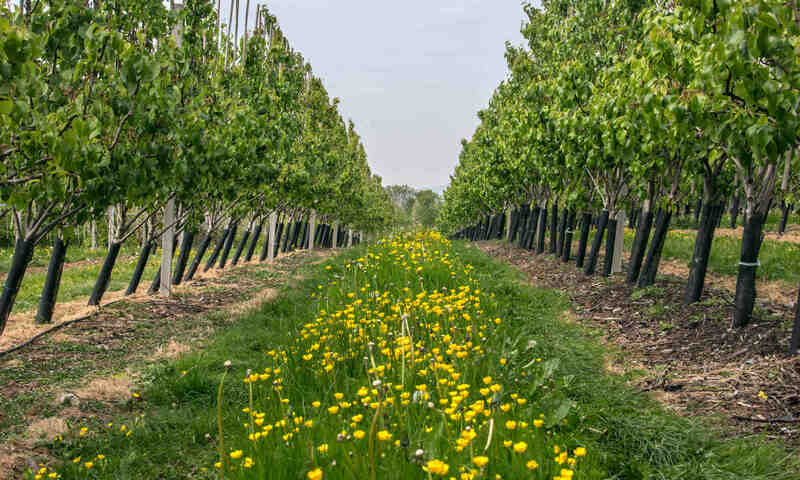 Small family farms like ours are under threat as the economies of scale favours much larger operations than Castle Fruit Farm but we hope that there will continue to be a place for orchards like ours in the rural economy. 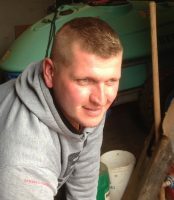 Michael and Chrissy Bentley came to Castle Fruit farm in 2002 from an arable background. We were very ably supported by Clive Maile our Manager who has amassed a wealth of experience and knowledge over his 37 years on Castle Fruit Farm. We have now been joined by son Richie , together with wife Claire and sons Oskar and Rudi who bring a great new energy to the farm ! 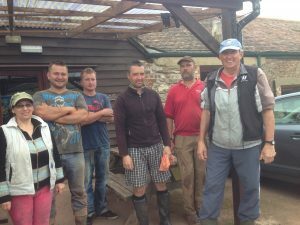 The rest of the team is mechanic Nick, John our longstanding semi retired tractor driver, Artur, our senior tractor driver, Konrad our Field Foreman, Radek, Slavi and Arek. They are all hardworking young men from Poland who have been with us for some years. They are adept at all sorts of practical work and are not daunted by long hours when needed or working outside in all weathers. Come harvest time we welcome our Summer family of workers from Chepelare in Bulgaria. Chepelare is a ski area and so in winter many of them are involved in the ski resort : ski instructors, guides, ski room managers . It suits them therefore to come over here for our seasonal harvest work in Summer. And we need them. 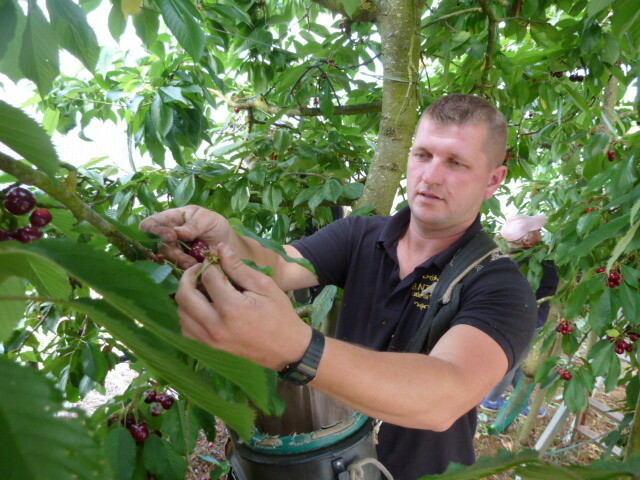 As I explained in an earlier blog , harvest requires crucial timing and that may mean early start if the fruit is ready and the day hot as well as long hours to ensure our very precise daily orders are met. We would not find enough local people with transport who want the long hours of physical work outdoors just during the summer months. They work hard, are skilled at the different aspects of the work, earn well and go home in the early Autumn. Long may this continue as harvest seasonal workers are vital to our and many other agricultural businesses. 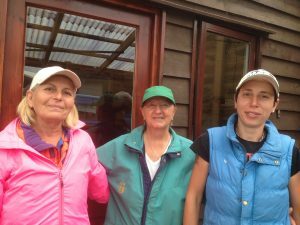 Mira, Krassi and Eva (pictured above) are our experienced summer team for thinning and harvesting. The cherries have been harvested and amazingly the first Herman plums were harvested on July 4th and we had the honour of delivering the first English plums to Waitrose this season. The Opal plums are ripening and though smaller than usual because of the drought, their flavour is more intense and I have already eaten too many…. Next blog will be recipe ideas for plums….barbecued, dipped in chocolate.. The rest of the team arrive soon and then harvest is truly underway. Look out for English fruit and remember that buying local supports small family farms, rural businesses and our wonderful diversity of landscapes. Photos above by Chrissy Bentley. 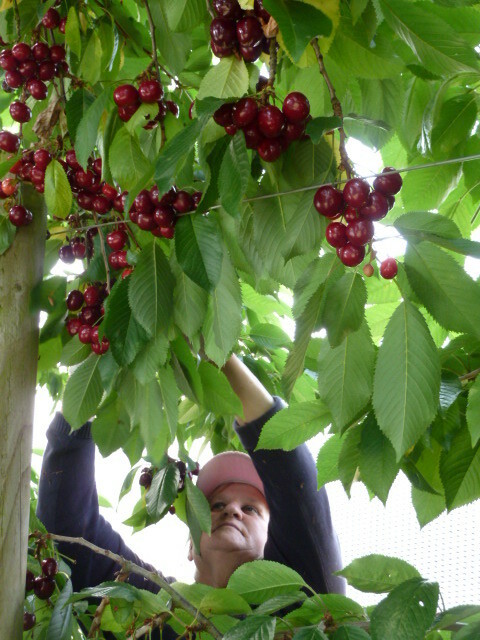 Cherry picking photos below by Fran Robinson.